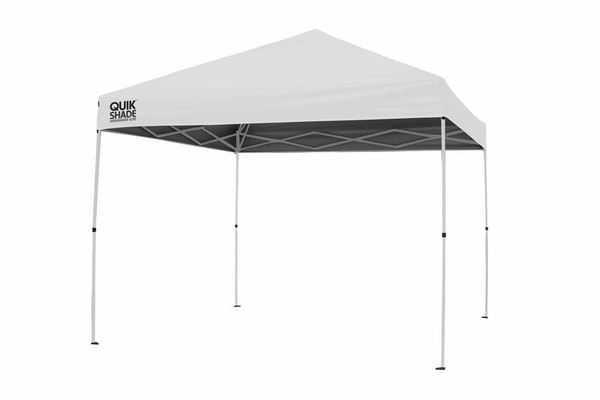 The Quik Shade Weekender Elite 10x10 Instant Canopy with straight legs is the perfect canopy to take with you on your next summer outing. 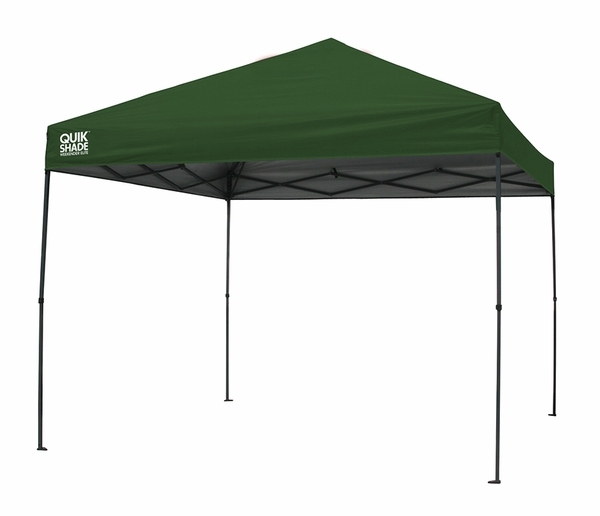 This canopy is fully portable with a wheeled bag and stores completely assembled, so it is easy to set up. The canopy provides 100 square feet of shade, assisted by an Aluminex backed fabric that provides a cooler shade than regular canvas. It also offers 99% UV protection so you can enjoy the outdoors safely. Nylon feet enable to you to set the canopy up on driveways and deck surfaces, and each unit also comes with four ground stakes for secure setup in the backyard or at the park.